Valentine’s Day is just around the corner. Girls, I hope you’ve your outfits ready! Get your shoes and accessories. Put on your make up, or not. Oh, wait! What about your hair? You need to look your best beautiful on the day. Woo your partner and let heads turn. Try these unique hairstyles and look flawless! there’s a style for every wear! 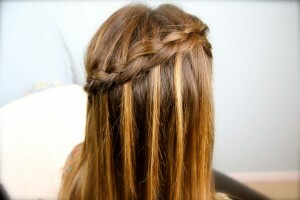 Take a strand of hair near the parting and split it into two strands. Take the back strand and cross it under the front strand. Then cross the front strand under the back strand. Repeat this, but with another strand along with the back strand. The same with the front strand. Repeat this with the opposite side. Now tie this into a fishtail braid on both sides. Secure the ends with an elastic. Go for this look if you’ve plenty of time before you get to your date. Begin by spraying some style spray into your hair. This is to create some volume to your hair. Pull your hair into a high ponytail and secure it with an elastic. Leave some strands loose in the front. Separate the ponytail into four or five sections. Fold it and pin each section with bobby pins. This style’s great if you’re running late! Take a small section of hair in the front and separate into three strands. 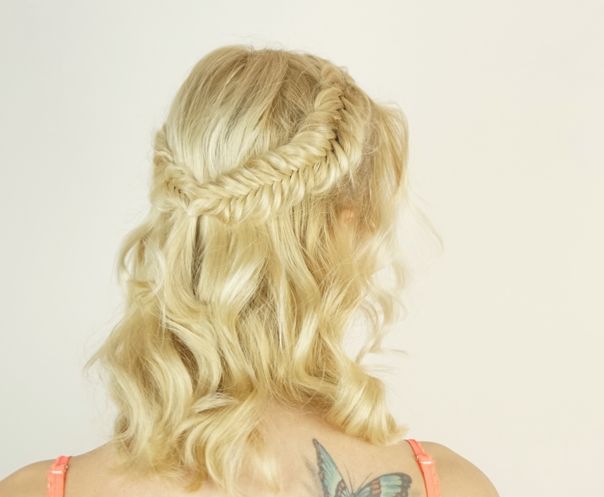 Do a normal Dutch braid. The middle strand must go over the outer strands. After a complete stitch, drop the middle strand. Now pick a strand of hair and let it be the middle strand. Do the normal Dutch braid till you reach a point where you want the braid to end. Try making it diagonal. Twist a strand of hair from the top of your left ear and clip it to the side. 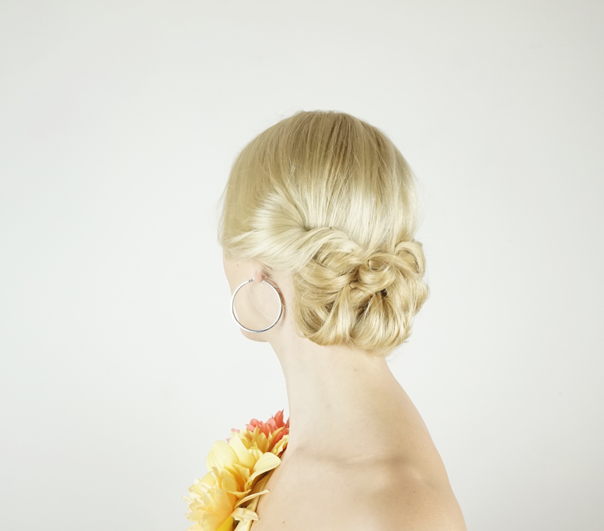 Secure the rest of the braid with bobby pins. Release the clipped hair and let the hair fall. Let the love flow. Take a section of your hair and twist it towards the opposite side. Secure it with a pin. Do the same with a section of hair from the other side.Take another section of hair from beneath this and pin it to the opposite side. Repeat this by alternating the sides. You could tuck in the other strands of hair according to your preference. This one’s good if you’re going out somewhere formal and grand. Pull your hair into a high ponytail. Take a strand of hair from underside the pony and secure it with elastic. About four inches below, take another strand and secure it with elastic. Take another thin section of the pony. Divide the rest into two sections. Pull the small section upwards between the strands. Take the thin strand and twist it upward and outward twice. 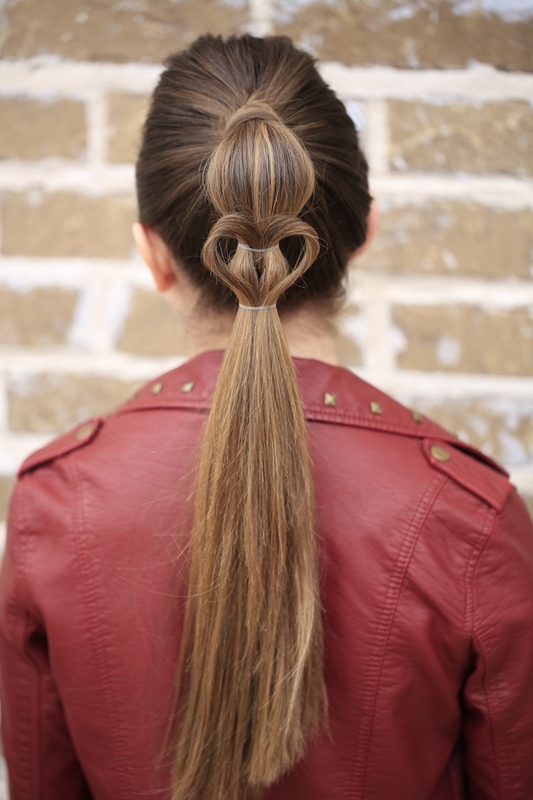 Now tie the ends together with the pony.Pull on the twisted loops to form the heart shape. Wear your heart on your hair, than your sleeve. This Valentine’s Day, may Cupid be with you. Celebrate your love with happiness. Try these hairstyles and let your partner know that you’re beautiful inside-out. And for the single girls out there, go try on these styles anyway! Every girl ought to love her hair. Photo Courtesy – Cute Girls Hairstyles, sheknows. This entry was posted in Beauty & Lifestyle and tagged hairstyles, Quick Hairstyles, Valentine Celebrations, Valentine Dressing, Valentine's day, Valentine's Week.